California Extreme 2009, an annual celebration of classic arcade games and pinball, takes place July 11-12 at the Hyatt Regency in Santa Clara. California Extreme is the “Classic Arcade Games Show”. 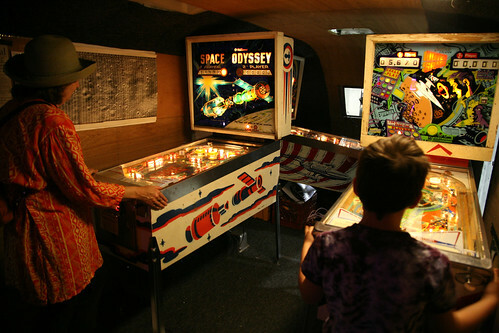 It’s an annual celebration of coin operated pinball machines, video games and other novelties you once found in game arcades. All games on display are set for free play, so leave your quarters in the ash tray in your car. You won’t need ’em.